Hurry, offer ends soon – FREE standard postage to New Zealand and Australia. 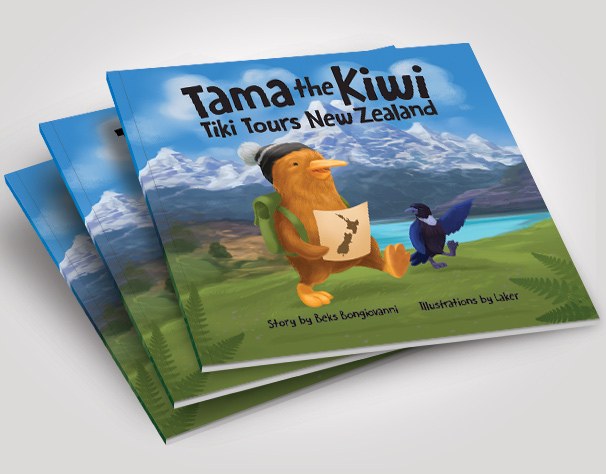 Tama the Kiwi Tiki Tours New Zealand is a children’s book designed to inspire that great Kiwi spirit of travel and adventure! Starting off in his incredible homeland, Tama explores the landscapes, cities, beaches and farmlands, so kids in New Zealand and around the world can get to know this magical country. Our FREE standard postage offer to New Zealand and Australia ends soon, so now is the perfect time to buy this great gift for any child in your life. We want to avoid charging you those pesky delivery fees, so for a limited time we'll send your book by standard post to New Zealand and Australian addresses. Too easy!